A means of charging your gadgets up on the move is a must if you’re away from power sockets for any length of time, but the bulk and weight can be off-putting, so it’s good to see an elegant and compact solution from Powertraveller: the minigorilla. As you’d expect, it comes with all the most common tips in order that you can charge up notebooks, cellphones and other portable devices — 20 notebook tips plus a number of others in fact. A useful feature is the ability to charge 5V devices and netbooks simultaneously. It covers a voltage range of 8.4V, 9.5V, 10.5V, 12V and 19V, has a number of built in protections (voltage and current limitation, short circuit, anti-discharge, overcharging and overheating). 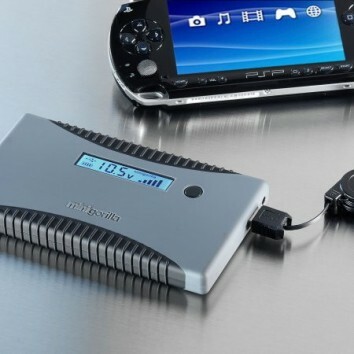 The minigorilla has enough power in it to charge the iPhone five times. It’s available for £99.95 (around $160).